How much is Oscar De La Hoya Worth? Oscar De La Hoya Net Worth: Oscar De La Hoya is a retired American professional boxer of Mexican descent who has a net worth of $200 million. Born on February 4, 1973, in East Los Angeles, California, he is one of the few non-heavyweights to become a pop culture celebrity. Originating from a boxing family, De La Hoya brought home a gold medal from the 1992 Barcelona Olympic Games shortly after graduating from James A. Garfield High School. Nicknamed "The Golden Boy," his amateur career included 234 wins, 163 by knockout, with only six losses. Later in 1992, on November 23, De La Hoya made his professional debut by scoring a first round knockout victory. Ever since, he had enjoyed a seventeen-year-long career (1992-2009) decorated with ten world titles in six different weight classes. 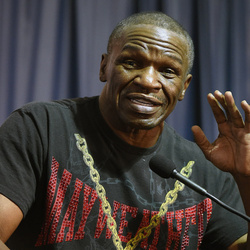 He defeated 17 world champions and was a top money-maker for professional boxing, thanks in part to his role as a marquee fighter for HBO cable television. 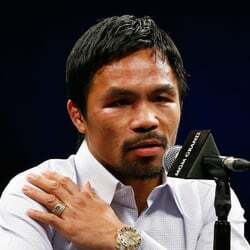 De La Hoya's last fight was a loss to rising star Manny Pacquiao in 2008 that indicated the end of his career in the ring. He officially announced his retirement on April 14, 2009, ending any rumors about a potential fight with undefeated light middleweight Julio César Chávez Jr. 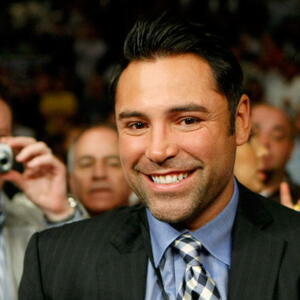 But outside the ring, he had already become Oscar De La Hoya the promoter, as President of Golden Boy Promotions. De La Hoya's good looks and charisma came only as catalysts to his other business interests that have included a Spanish-language boxing show on HBO, Boxeo de Oro, a clothing line and various merchandising deals. 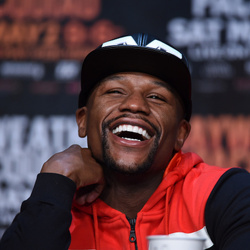 However, he still remains one of the most celebrated boxers of his era.